Ejiro is passionate, dedicated, and feels very fortunate to contribute to the successful impact our program has made in Metro Detroit. She joined our team in August, 2018, and is thrilled to be part of Winning Futures’ 25-year legacy. As a classroom assistant, she supports the behind-the-scenes work that ensures our classrooms are in order and ready for students and mentors. As an operations clerk, she’s responsible for administrative and clerical tasks that support our day-to-day business activities. 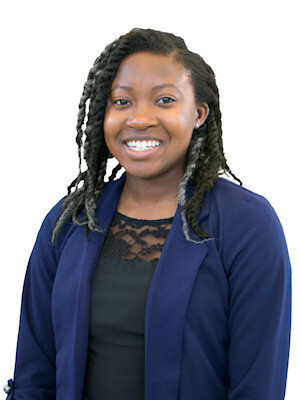 Ejiro has served as a mentor and staff member in nonprofits throughout the state. At Michigan State University she mentored freshmen students in the Spartan Success Initiative. At Detroit School of Arts, she acclimated eighth graders to her former high school through the JumpStart program. She also participated in several non-profit trainings. When she isn’t in the classroom, Ejiro is busy nurturing her craft and love for the performing arts. She placed third runner up twice in the Poetry Out Loud state competition and has acted in numerous productions including the world premiere of “Out of Orbit,” for which she was nominated for a Best Featured Actress Award. Her love of performing arts encourages her to grow and challenges her to be successful in every avenue of life.